The students had previous ideas about what possibilities could be rolled when using two dice. The students already knew the range of the numbers that were on the dice and their highest sum that could be rolled. The students with ease could predict that the sum of twelve would appear the least on the rolls because there was only one combination that could make twelve. The conceptions were talked about in the beginning of the lesson to make sure students understand the sums that they could and could not reach when rolling two dice. The students in the video did not appear to be too young to discuss mathematical probability. The students understood the difference of mathematical probability and experimental probability. Students were making prediction about what “could happen” before beginning the assignment (mathematical). Then, the students recorded their actual information into a graph, which was their experimental probability. I think probability can be discussed in every grade level but in a way that understanding to them, such as introducing first graders to the definition of probability. The phrasing of the questions “ What can you say about the data we collected as a group? and “ what can you say mathematically” helped students reason their collected information into a way of thinking mathematically. By asking both of these questions students were able to see that the data they collected can be applied to mathematical concepts. 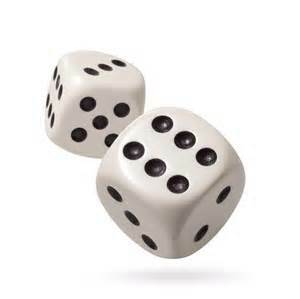 The main reason the teacher had the children roll the dice thirty-six times was to teach them that they needed to roll a variety of times to accumulate a substantial amount of information. She wanted her students to see several sums appear from rolling the two dice. The disadvantage to this is that students were accidently rolling more than the allotted amount and having to go back and fix their mistakes. The advantage to this is that the teacher was able to assess the students as they worked to observe their thoughts and processes to interpreting their results. By working in groups, there was enough time for the teacher to move about the room and get explanations from her students. By assigning students different roles for this assignment it gave a form of organization to the project. With this being said, students were able to focus on what was happening rather than who was going to do what. Assigning roles also helped students see how much can go into recording probability. How could you use this video to teach probability in your field classroom? If relevant? This article was a great investigation as to how children can learn the true meaning of probability. There were several activities that foster a deeper meaning of probability for students who are new to learning it. I personally enjoyed the idea of using a community line plot to determine what was likely, unlikely, certain, and impossible. I also believe teaching students with literature is a way to ensure that they grasp the definitions of probability. After viewing and reading about several different activities and ways to teach children probability, I believe that the best way to prepare them for middle school is by involving real life and hands on examples. The students working with the dice video were able to see probability work hands on. The students were involved in the activities directly rather than only being taught through book work. 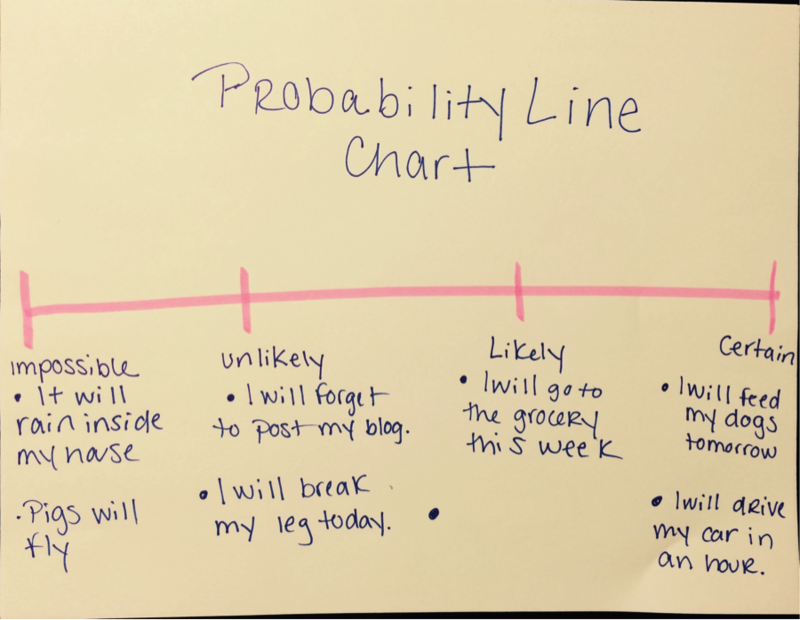 This is similar to how the students in the Whale of a Tale article could see the definitions used in probability by making a chart that divided different likeliness and compared them. It is by incorporating these types of learning experiences that would prepare students for learning in middle school. What lessons do you think will be most successful for student learning? Posted on March 1, 2015 March 1, 2015 by moore4her	Bookmark the permalink. In my future classroom I think that I would use the video itself to teach my students. I think that by them seeing others work through the problem and work as a group to solve it will help them learn the aspects of probability. Also, I would take the example from the video and implement it into my own lesson but change it up and use another form the example. I agree with you that using real life examples and hands on activities are the best way to prepare students. By connecting the material to real life situations, students will not only understand it better but will always remember that example. I still can recall examples that my previous math teachers would use to help me better understand something or to help me remember it! I think that probability should be taught in elementary grades, but in a way that they will create a foundation of understanding it.